Two coffee mugs by Phineas X. Jones. This is a matched set of two generous 15 oz. 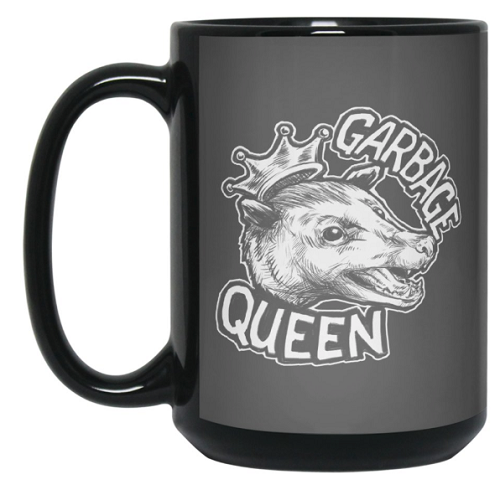 coffee mugs featuring Phineas’ adorable opossum royalty, white art on coffee stain-concealing black mugs. Channel your inner trash-kitty the next time that leftover Chex Holiday Mix starts looking like your idea of a balanced breakfast. 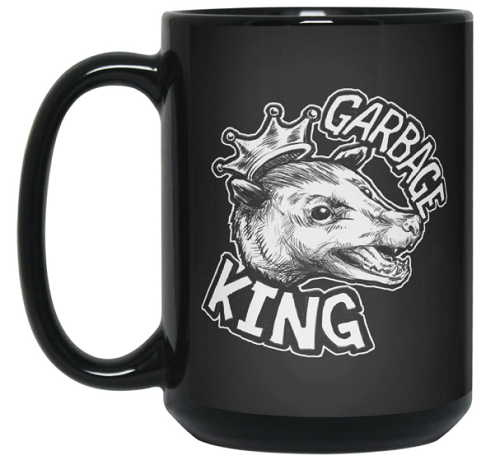 It’s good to be the Queen, and the King!